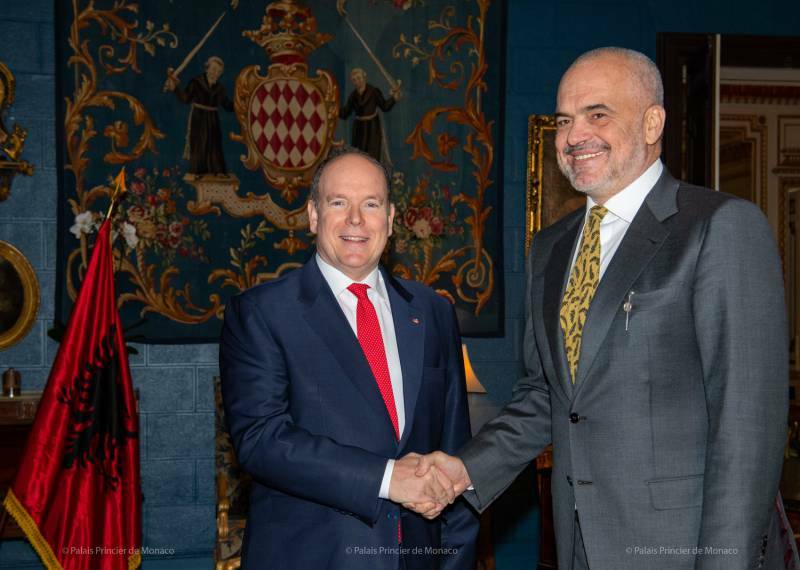 The Prime Minister of Albania, Edi Rama, made an official trip to Monaco on Wednesday 10 of April, for two days. 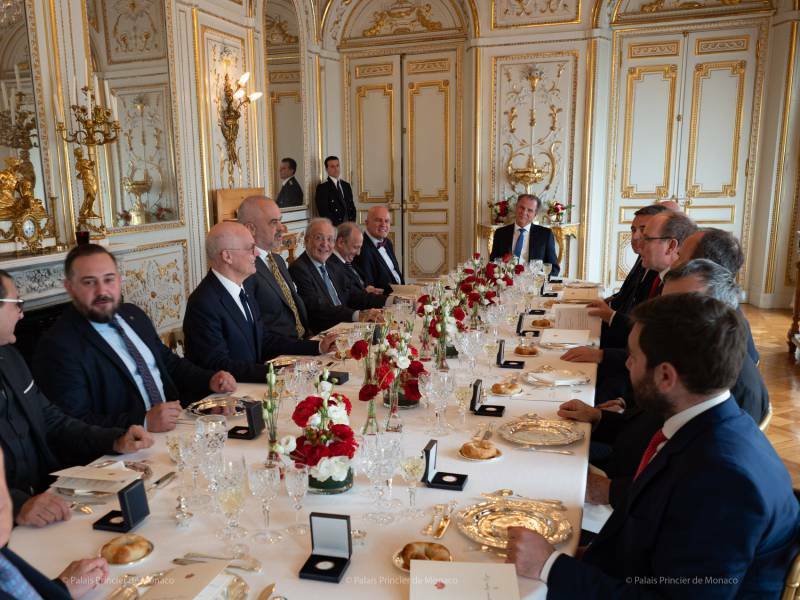 Edi Rama was first received by Minister of State Serge Telle for dinner. 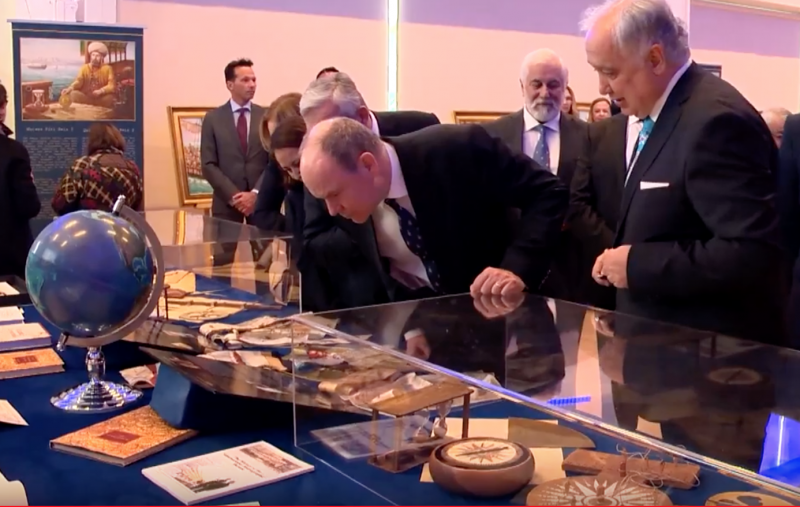 He then visited the ‘Being Spalletti’ exhibition at the New National Museum of Monaco before heading to the of the Prince Albert II Foundation headquarters. 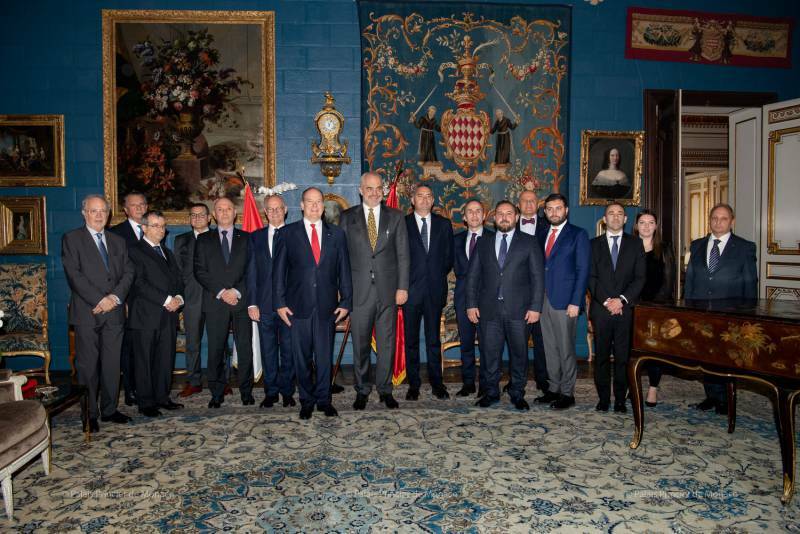 The Albanian delegation then returned to Monaco-ville where Prime Minister Edi Rama was received by Prince Albert II for a bilateral meeting followed by an official lunch, served at the Palace. Finally, the official delegation visited the Monaco Yacht Club for discussions aimed at strengthening cooperation between Monaco and Albania. The Monaco Economic Board team made a presentation about the Principality’s economic knowledge, which may interest Albanian entrepreneurs. 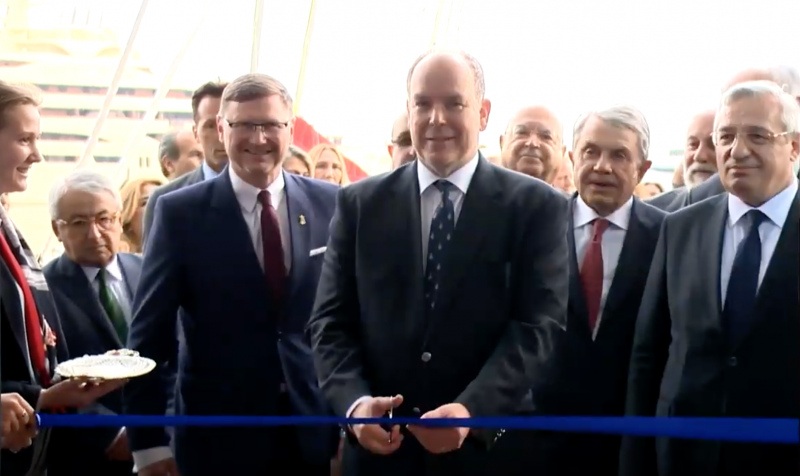 Prime Minister Edi Rama’s visit comes after an official visit by Prince Albert in Albania, in October 2018. 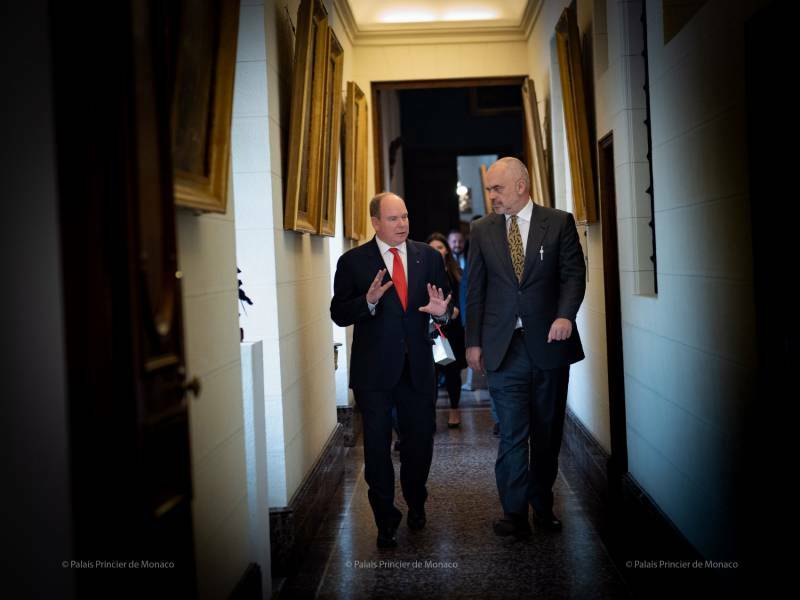 In Tirana, Prince Albert was received by Ilir Meta, President of the Republic of Albania, for a meeting. A partnership was signed during the Sovereign’s visit with the Albanian NGO ‘Flag Pine’, which fights for the development of marine protected areas. 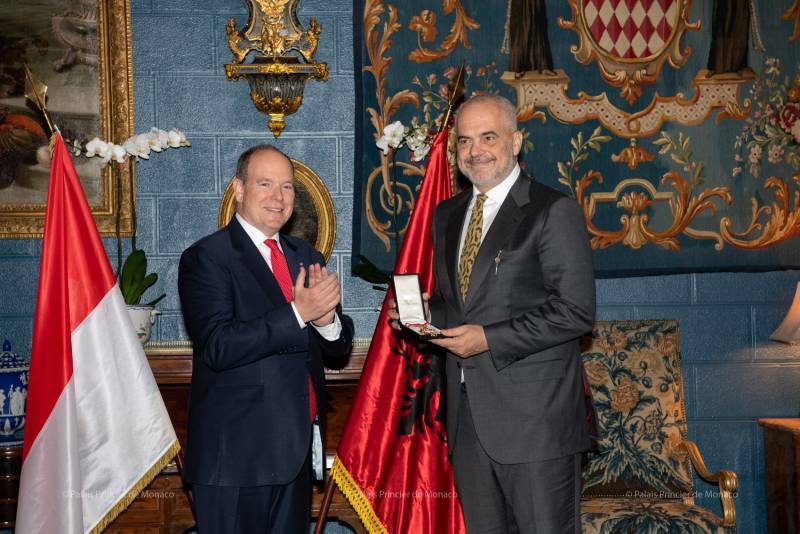 The Prince also received the Albanian National Flag medal, the highest distinction in the country. The Principality of Monaco and the Republic of Albania officially established diplomatic relations in 2011. 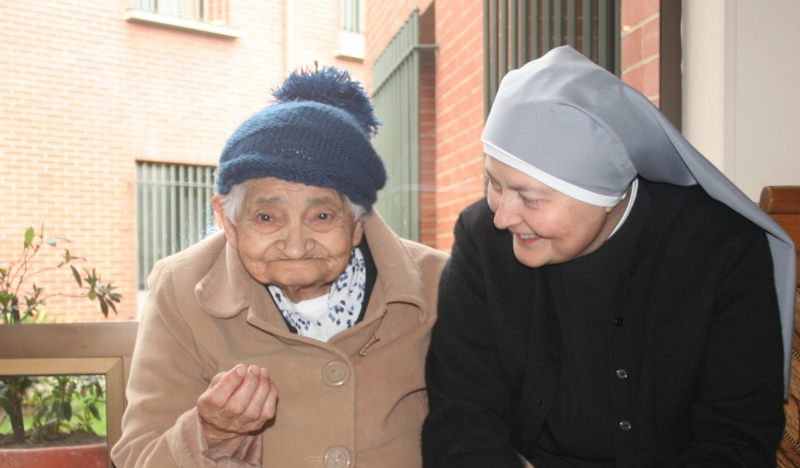 The Sovereign visited a senior’s residence in Nice run by Les Petites Sœurs des Pauvres (‘The Little Sisters of the Poor’). 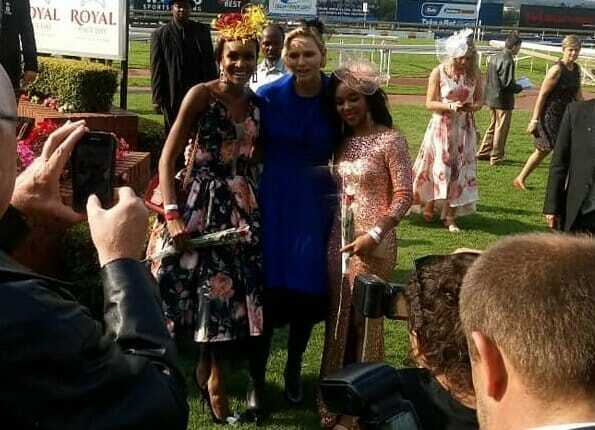 The sisters wanted to thank Prince Albert for all the donations made to their establishment by Monaco. The Archbishop of Monaco was also in attendance, accompanied by Bishop André Marceau, Bishop of Nice. 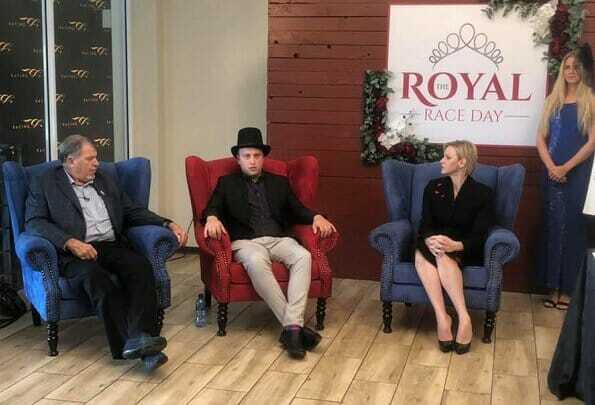 The 100 residents, 16 Sisters, staff (49 employees and 35 volunteers) and even the mascot labrador dog, Maya, prepared for the much-anticipated visit by wearing red and white, the Principality’s colours. Prince Albert first spoke to the residents and staff before participating in a 10-minute prayer in the chapel and a tour of the premises. 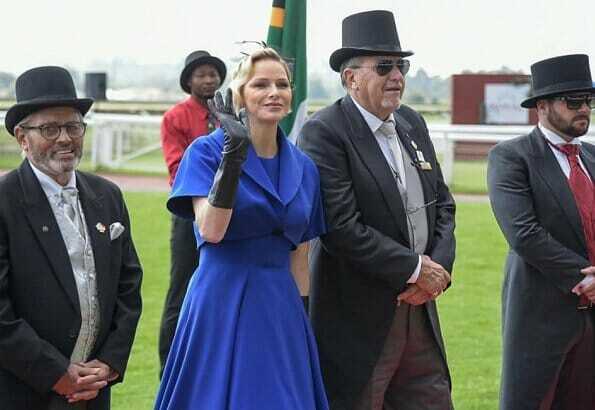 The Prince then joined the sisters and residents for a meal in the large dining room, which was the highlight of the visit for most of the residents. 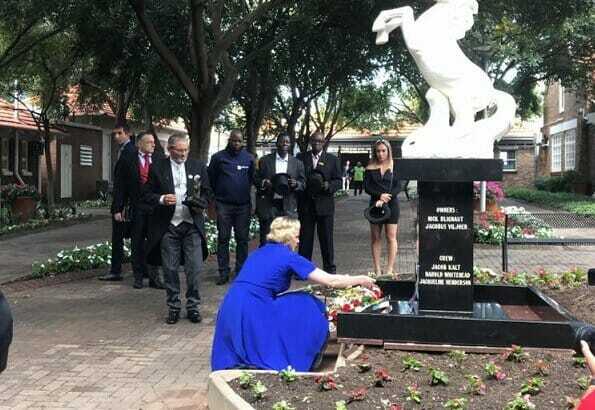 The Little Sister’s senior residence is known as a respectful and welcoming place which is home to people from 32 nationalities who practice 4 different religions. 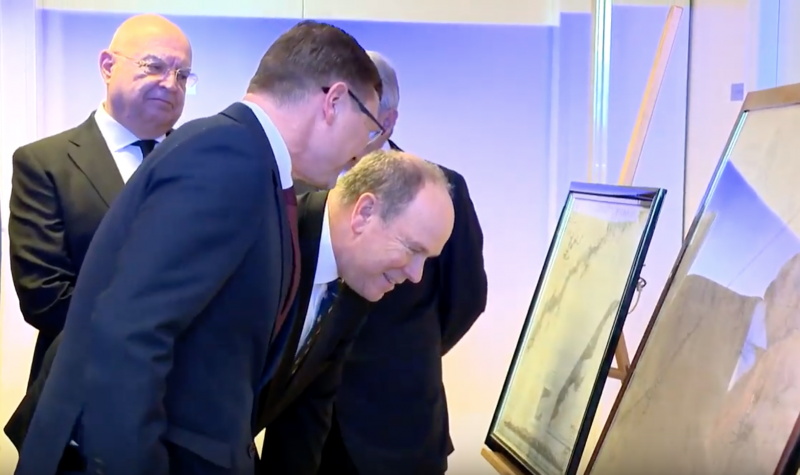 Prince Albert inaugurated an exhibition on historic sea charts and the Mediterranean, organized by the International Hydrographic Organization, which will soon be celebrating its centenary in Monaco. The exhibition features oil paintings, models of wooden ships, ceramic tiles, Portolan charts (the first nautical charts in the world), flags and navigation tools. Today, most maps and charts are digital, but this exhibition takes visitors back to the very beginnings of cartography. The Historic Sea Charts and the Mediterranean exhibition is free and on display in the showroom of Monaco’s Yacht Club. 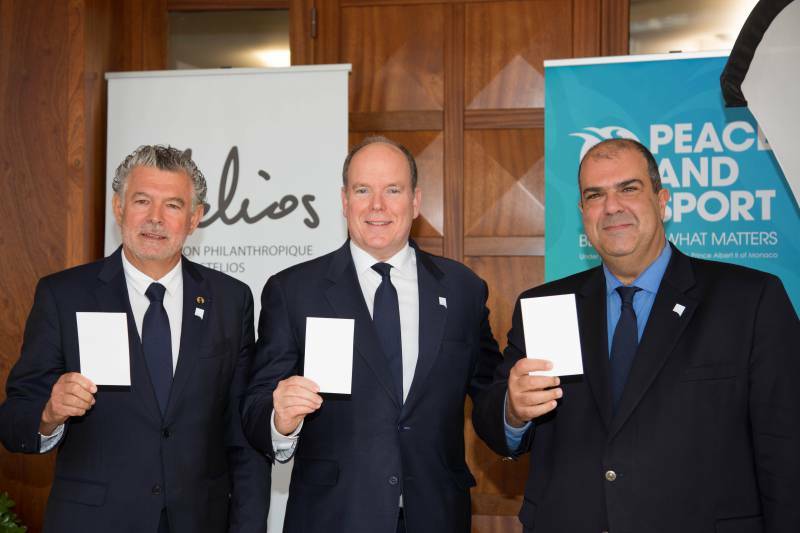 Peace and Sport and the Stelios Philanthropic Foundation recently presented the results of ‘April6’ in the presence of Prince Albert. On 6 April of each year, the International Day of Sport is celebrated at the Service of Development and Peace. For the 2019 edition, football clubs Nea Salamina and Mağusa Türk Gücü met to promote dialogue and cooperation between the Greek Cypriot and Turkish Cypriot communities through sport. In his introduction speech, Sir Stelios Haji-Ioannou said that he is pleased that his foundation has partnered with Peace and Sport for this historic event to promote lasting peace and dialogue on the island of Cyprus. President and Founder of Peace and Sport, Joel Bouzou, then presented the first results of the April 6 mobilization and the #WhiteCard campaign. So far this year, 1,130 projects have registered on www.april6.org, in 109 countries. 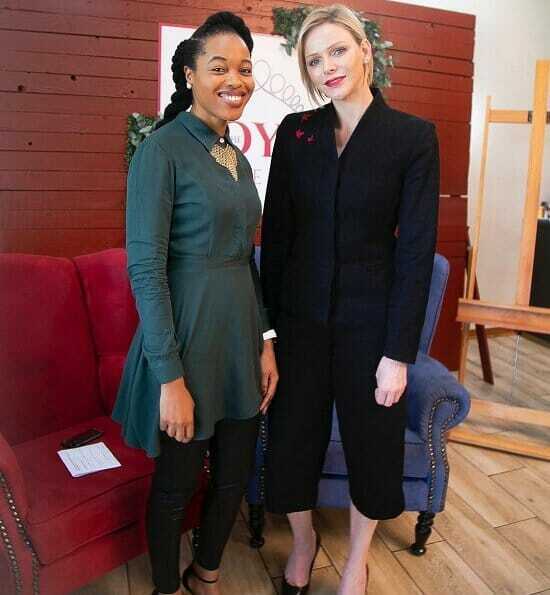 The platform will continue to identify even more projects until it closes on 19 April.